Join us this week as we focus on what it takes to succeed in sales. Our three expert speakers will explore how the sales funnel fits into your overall marketing mix and the importance of developing relationships in social selling. At Entrepreneurship 101 this week, our experts highlighted the importance of a working marketing plan for a budding business. Marketing is complex and multifaceted, and when it comes to defining a strategy and building a brand for a startup, the intricacies are deeper as every aspect requires detailed attention. Three speakers shared their perspectives on the topics of brand identity, traction, and building a PR narrative. We heard from Nathan Monk, Senior Strategist, ICT, MaRS Discovery District; Jeff Goldenberg, Head of Growth, Borrowell; and Jason Kinnear, Senior Vice President & National Sector Lead, Tech, Edelman. Nathan Monk, who has worked with over 200 startups in the tech community, explored the concept of a brand. As Monk explained, a brand is not a logo or a symbol, it’s not an identity, and it’s not a person or a product. Then what really is a brand? The importance of a brand is reflected in the trust it creates to generate a long-term value for its consumers. Branding is vital to a startup since it is just starting out. However, Monk pointed out that the power of defining a brand has shifted from companies to customers as people are now focused around the meaning of the products that are being sold to them. In other words, customers buy products that either build or reflect their own identities. Tribes are groups of customers that are connected through technology. They are built around customers that share a sense of identity with the brand. Therefore, it becomes increasingly important for startups to learn the interests and background of their customers in order to create products for and target and market to the right tribes. Who are your customers? Figure out their interests, demographic information, reasons they buy from you and the tribes to which they belong. What’s your “onlyness” as a brand? Identify that one statement that describes you or your brand and what makes you different. How do customers belong to your company? Build values based around your customer based on the ways in which they connect to your brand. 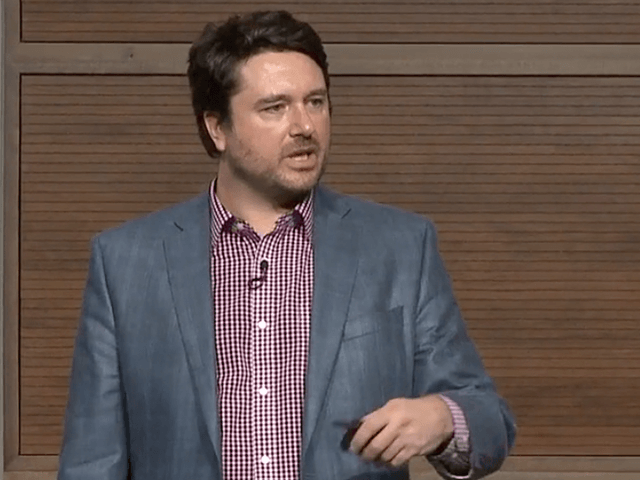 Jeff Goldenberg shared examples from his book, The Growth Hacker’s Guide to the Galaxy, to discuss how growth hacking and being able to demonstrate traction is key for startups. Goldenberg discussed how being able to demonstrate traction is often tied to the results of your marketing efforts—the parts that cannot be bought. For example, on the surface it may appear that having a huge Facebook fan following means that a product is extremely popular among consumers. However, being able to show traction means being able to show the actual numbers that prove your return on investment from a Facebook ad. For a startup, it is critical to track investments and metrics in order to measure performance and traction. Moreover, measuring where your efforts and investments succeed (and fail) help minimize cash burn and help you test the viability of a product. Jason Kinnear’s talk highlighted the importance of building a PR narrative, the tactics of making your story stand out, and ways to sell it in a world that is bombarded with messages. He shared examples of various companies such as Tesla, Shopify and Wealthsimple and the language they use to build the narrative in telling their story. For a startup, building a narrative that shows its purpose is necessary to show how the company fits into the bigger picture and is an active participant in society. Furthermore, it is important for a company to communicate transparently so they can educate customers to help them make a choice. Kinnear claimed that stories are not static—they are moving. He argues that a narrative must convince its audience instead of “pushing” them to buy a product. Watch excerpts from the lecture below and hear what our experts had to say.